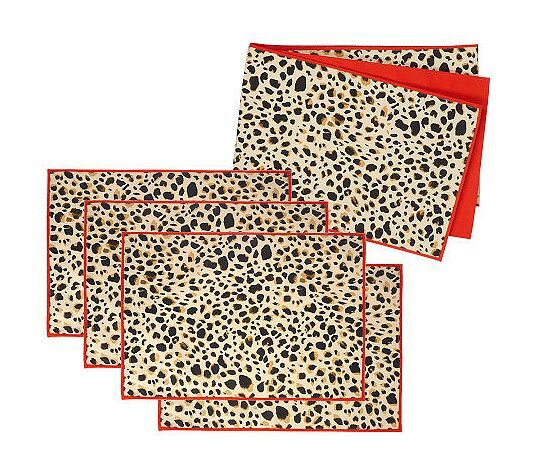 Take your wild side into the dining room with this super-chic Leopard print placesetting. Both the table runner and place mats are fashioned in a fierce animal print with a bright, carrot-colored border. From ISAACMIZRAHILIVE!(TM). The ISAACMIZRAHLIVE collection stylishly decorates your life. Isaac Mizrahi creates and designs fashion with the silhoutte of a woman in mind. The bold colors and crative patterns will add exuberance to your style.